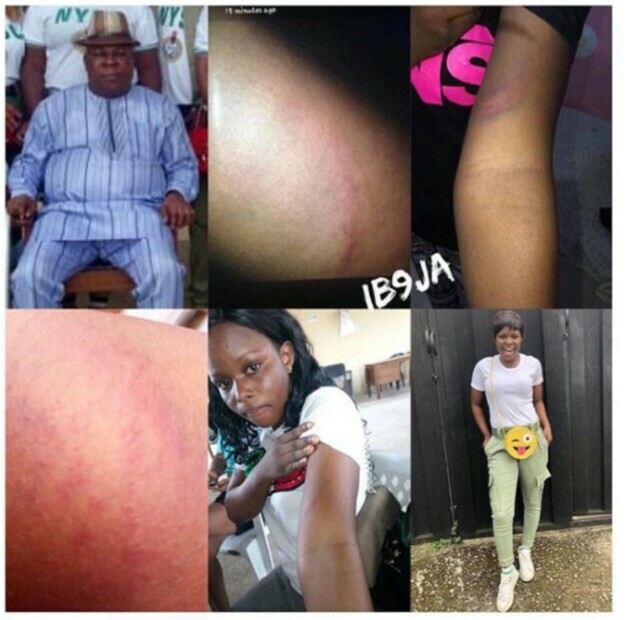 A corps member has been mercilessly flogged by one Deacon Friday Udoka, the principal of her PPA, the Government Technical College in Abak, Akwa Ibom State. According to reports, the assault was because the lady, Kolawole Olaitan Adeola, helped her friend write her name in the attendance register of the college, on Friday, October 19, 2018. The principal was said to have flogged her in his office before dragging her outside to continue the flogging in the presence of students. Udoka then proceeded to notify the NYSC Local Government Inspector that he no longer needs her in the school. What would you have done as a corps member?